I’m so happy that summertime has arrived. It’s the absolute best time of the year. San Francisco has been experiencing warm days lately, people. It has been nothing short of glorious. 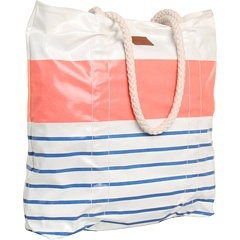 Pull up those umbrellas, stab a stick into some watermelon, throw sandals into a tote and dare to wear an itty bitty. Little and I are off to get some exercise since I will be in a swimsuit later this week. Gasp.